WASHINGTON, Sept. 5 (Xinhua) -- Negotiators from the United States and Canada on Wednesday resumed trade talks here to bridge their differences on the North American Free Trade Agreement (NAFTA) after the two sides failed to reach a deal last week. "Our officials have continued to work hard and constructively over the weekend and we are looking forward to constructive conversations today," Canadian Foreign Minister Chrystia Freeland told reporters on Wednesday in Washington. 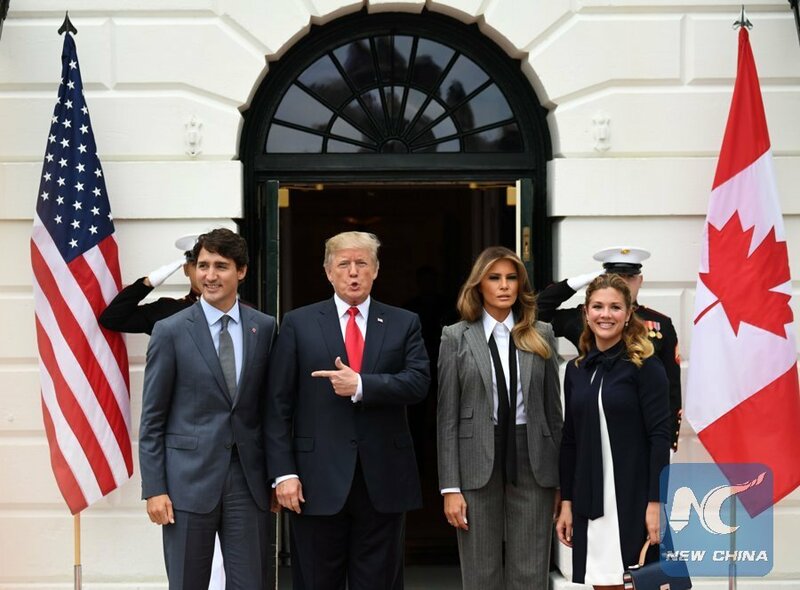 The trade talks came after U.S. President Donald Trump said on Saturday that there is "no political necessity" to keep Canada in the new NAFTA deal. "If we don't make a fair deal for the U.S. after decades of abuse, Canada will be out," Trump said via Twitter, threatening to terminate the 24-year-old trilateral trade deal. One of the major sticking points in the talks is a so-called dispute resolution system, contained in Chapter 19 of the original NAFTA agreement. The United States has proposed to scrap the dispute resolution system that Canada regard as crucial. "We've said from the very beginning that we need a dispute resolution mechanism like Chapter 19 and we will hold firm on that," Canadian Prime Minister Justin Trudeau said on Tuesday. While U.S. officials have indicated that they are prepared to go ahead and sign a NAFTA deal only with Mexico, the U.S. business community and many lawmakers have insisted that the NAFTA deal should remain a trilateral pact. "Anything other than a trilateral agreement won't win congressional approval and would lose business support," President and CEO of the U.S. Chamber of Commerce Thomas Donohue said last week. "The president needs to take a look at the Constitution - it gives Congress authority over trade. The president cannot pull America out of NAFTA without Congress's permission," Wyden said in a statement. Talks on renegotiating the NAFTA began in August 2017 as Trump threatened to withdraw from the trilateral trade deal, which he claimed harmed U.S. industries and jobs.